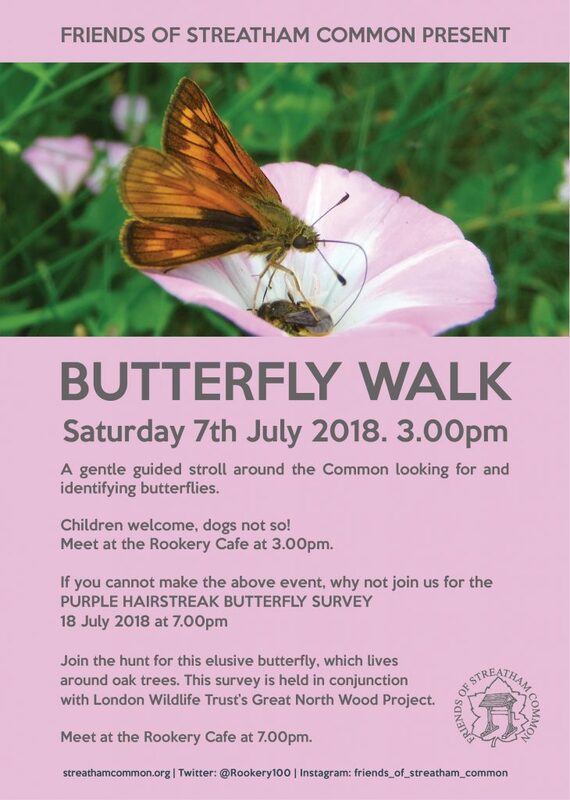 Meet at the Rookery Cafe at 3.00pm for a gentle stroll around the Common looking for and identifying butterflies. Children welcome, dogs not so! FREE EVENT led by volunteers. Please think of joining or donating to the Friends of Streatham Common so we can ensure our common is sustainable and educational for years to come.